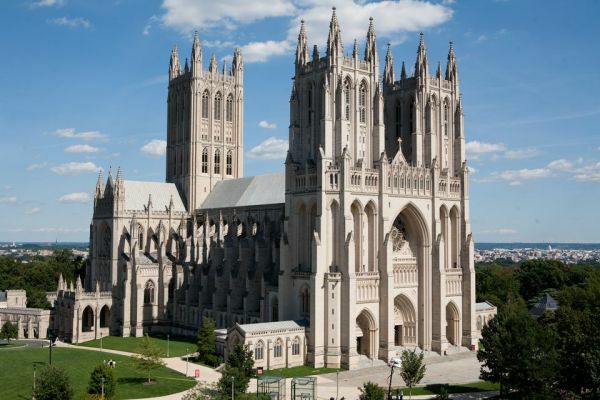 Church of the Redeemer is planning a parish wide Vision Trip to Washington, DC June 14-16. Join our choirs and Youth Group as they explore the intersection of social justice and the Church, worship at Washington National Cathedral (where our choirs will be offering their musical gifts), serve the needs of the poor in Franklin Square Park, and see the city through a new lens. A bus has been chartered to take the group to and from Washington, D.C. The bus will leave from Cincinnati at 9:00 am on Friday, June 14. It will return to Cincinnati on Monday, June 17 by approximately 5:00 pm. The cost to ride the bus is $50.00 per person round trip (due by May 1). You do not have to ride the bus, however, if you arrange your own transportation you will need to make arrangements to get to and from the hotel on your own. Rooms at the Marriott Wardman Park have been blocked for the choir and others attending. The cost is $139/night. Rooms accommodate 4 persons (2 per bed). Participants are asked to book their own rooms before May 10. Booking instructions will be sent once you have registered for the trip (see the form below). The Youth Group will be staying Friday and Saturday night at the Epiphany Mission Center and will transfer to the hotel for Sunday evening. The cost for the Epiphany Mission Center is $30/person/night. Thank you so much for registering to join us on the 2019 Vision Trip to Washington D.C. June 14-17! I am thrilled to have you on our team of visionaries. Together, we will see Social Justice in our Nations’ Capital, and in our own lives, in new and different ways. On this vision trip we will explore the micro and macro aspects of poverty in America and connect on deep and personal levels to the work of the Gospel in relation to our neighbors. Attached you will find a detailed (though somewhat tentative) schedule of our time together, which includes two opportunities of transcendence as we enjoy the beautiful voices of The Episcopal Church of the Redeemer Choir and Jubilate Deo Choir at The Washington National Cathedral. After reviewing the schedule, please contact me with further questions.